Marketing professional. Joined Hitch since April 2017. I was referred by an ex-colleague as she knows I drive daily from Bedok to Buona Vista. She mentioned that Hitch was easy to sign up so I joined! My primary reason is to cover some petrol cost, but I also enjoy meeting new people, and having interesting conversations with them. My first Hitch rider was a new hire at my previous company, someone I did not know prior to the ride. Also learnt that she’s good friends with my GrabHitch referrer. Small world indeed! Thoughts on the Football Stars competition? I took notice as I’m an avid Football fan and I support Liverpool FC! Free tickets to Anfield so why not? It was simple to sign up so I decided to take part. What do you plan to do with the prize? I plan to bring my wife and children to watch a few football matches in Liverpool next December. It will be nice to reminisce old days as we lived in UK for a year while my wife pursued her Masters. Customer service officer. Joined Hitch since January 2017. I came across Hitch while I was exploring the Grab app. I stay in Yishun and work in Tanah Merah and it really helps to cover my petrol since I have no problems getting passengers in either direction. There was this time when it was raining heavily and my passenger had a friend who was stranded nearby in the rain, so I helped ferry her friend as well. They were so grateful and I understood then how much my car can be of help. I just joined the competition for fun, with no expectations of winning. The contest requirements were also simple and fun and that made it all the more appealing. I want to bring my family down to Arena Futsal to celebrate. When I saw the competition, I immediately thought of my dad and how much he would appreciate this – he is a huge Arsenal fan! He has no idea that I’ve won and I’m sure he’s going to be very happy when we go pick up the jersey! Sales professional. Joined Hitch since December 2016. I took a GrabShare once, and thought meeting new people on rides was interesting. Coincidentally, I received an in-app notification about GrabHitch on the ride, and since registration was easy, I decided to join. Besides covering cost, I GrabHitch often for the social element. One of my riders was an ex beauty queen, turned mum. I had a very good conversation with her, and she ended up becoming one of my customers. As I am into football (Arsenal fan here! ), I took notice of it. I also received a few sms-es indicating eligibility for the kicks, so that pushed me to head down to the Premier Football outlet to try it out. 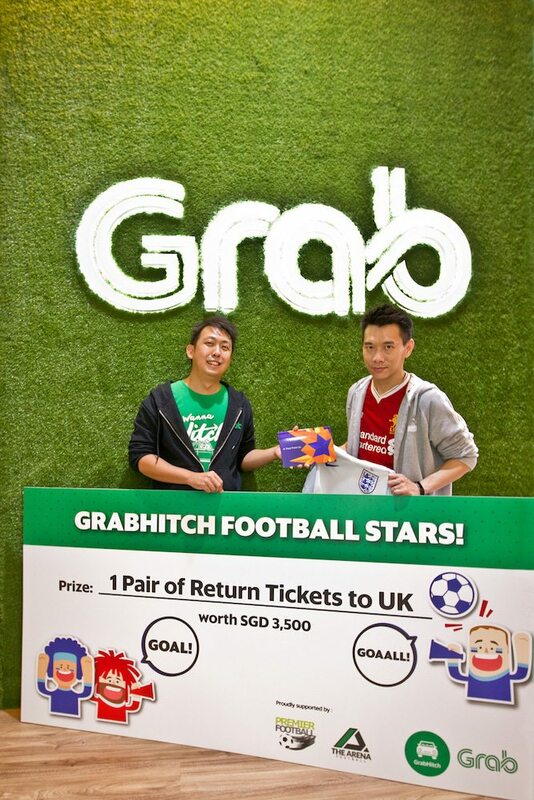 I actually almost bought the jersey, so thank you GrabHitch for selecting me! 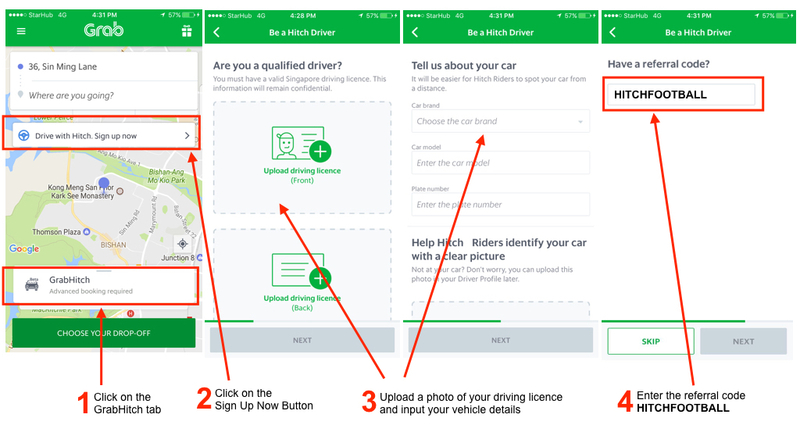 Signing up as a GrabHitch Driver is very simple – it takes less than 5 minutes, straight from your mobile phone! PLUS! 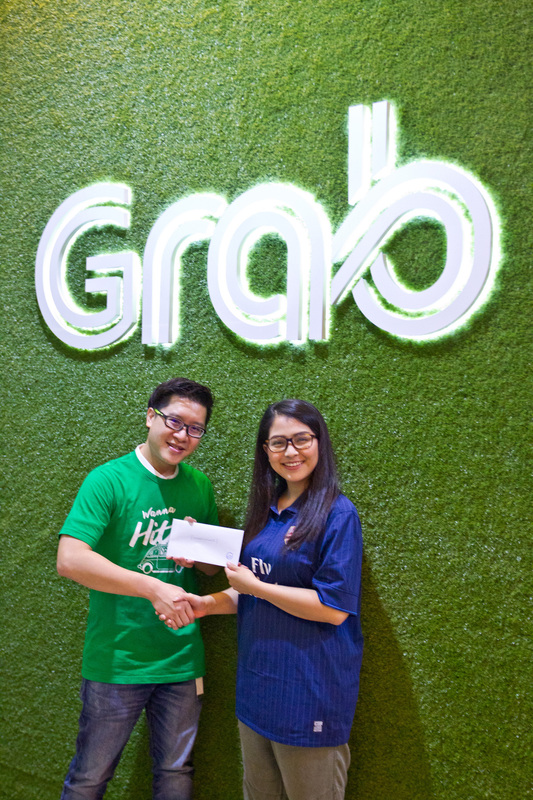 From now till 31 October, get $30* when you sign up and complete one ride as a GrabHitch Driver. We will take 1-2 working days to approve your application. This incentive is only eligible for new drivers who sign up and successfully complete 1 Hitch ride as a driver between 18th August 2017 @ 00:00 hours – 31st October 2017 @ 23:59 hours. New drivers must sign up with the referral code HITCHFOOTBALL in order to qualify for the $30 credit incentive.